RALEIGH, N.C., February 5, 2019 – Advance Auto Parts, Inc. (NYSE: AAP), a leading automotive aftermarket parts provider that serves both professional installer and do-it-yourself customers, today announced that Army Master Sgt. George Vera and Marine Sgt. 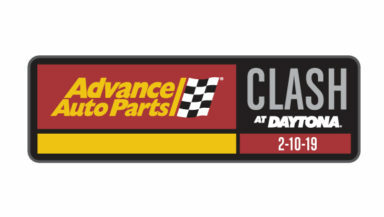 Kirstie Ennis, both wounded veterans, will serve as dignitaries for the 2019 Advance Auto Parts Clash, Feb. 10, at Daytona International Speedway in Daytona, Fla.
Advance Auto Parts, Inc. is a leading automotive aftermarket parts provider that serves both professional installer and do-it-yourself customers. As of October 6, 2018, Advance operated 4,981 stores and 139 Worldpac branches in the United States, Canada, Puerto Rico and the U.S. Virgin Islands. The Company also serves 1,229 independently owned Carquest branded stores across these locations in addition to Mexico, the Bahamas, Turks and Caicos, British Virgin Islands and Pacific Islands. Additional information about Advance, including employment opportunities, customer services, and online shopping for parts, accessories and other offerings can be found atwww.AdvanceAutoParts.com.